"Practice Treatment Plan are innovative marketing gurus for Dental practices. They have helped my practice grow with innovative marketing strategies. 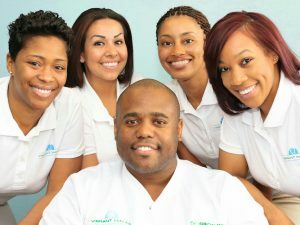 I would highly recommend their services to anyone starting a dental practice." The results were amazing. Dr. Rainford’s practice averaged 70+ new patients per month by the third month, and continues to perform that well today. They often eclipse 100 new patients per month. Dr. Rainford and his team adopted an aggressive marketing approach from day one, and were willing to test new ideas frequently. New patients averaged around 70+ per month in the first year. Those strong numbers have continued and they often eclipse 100 new patients in a month! No Contracts. No Regrets. Contact us for an initial consultation.